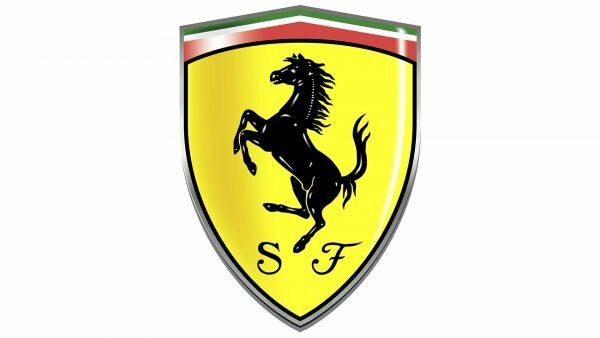 The history of the logo Ferrari with a horse standing rampant on the yellow background is not less interesting than the success story of all the company. The Italian pilot Francesco Barakka, who is rightfully considered the ace in times of the First World War, was the author of Ferrari’s logo. The symbol of the rampant stallion appeared on his plane as reminders about the fact that the whole air squadron was put together from the cavalry unit. Also, the author of Ferrari’s logo Francesco Barakka himself was one of the best riders and a passionate horseman. The famous pilot won many air duels, but his aircraft was shot down in 1918 by Austrian troops by a gunfire from a fighting trench. The new border in the history of Ferrari’s logo began on the 23rd of May, 1923, when the mother of the Italian pilot Francesco Barakka presented the emblem of her son to the car racer Enzo Ferrari, who had a cap for Alfa Romeo’s team and it was rather successful. 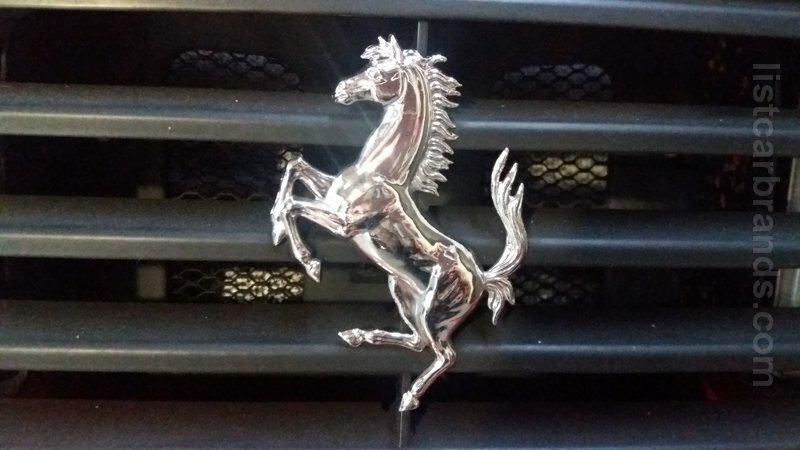 Enzo Ferrari promised the mother of the pilot that he would use the logo with the rampant stallion on his racing car in the hope that it would give him as many victories over enemies as her son had. In 1932, the management of the Alfa Romeo Company permitted the Italian racer to depict the black horse on the racing car. But Enzo Ferrari corrected the emblem a bit having added the yellow background, which symbolized the color of his hometown Modena. That year the Alfa Romeo Company left the competition, and Enzo Ferrari established his team together with a plant Alfa Romeo team under the name of Scuderia Ferrari. Therefore, the story of Ferrari’s logo began from Alfa Romeo’s racing race cars. It is worth noting the best friend of pilot Francesco Barakka who for many years fought side by side with him in the same regiment used the rampant horse on Ducati motorcycles. However, after the glory of Enzo Ferrari began to rise he took a back seat. The symbols of SF (Scuderia Ferrari) on the Ferrari’s logo, in a translation from Italian, it means Ferrari stable. 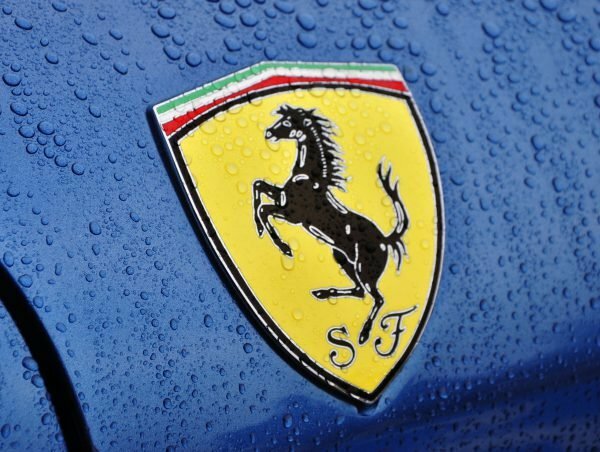 The logo Ferrari was attached to the first racing car of the Italian company in 1946. The car Ferrari 250 GTO of the 1963 year of production is the most expensive car in the world. In this time 36 cars were let out from the conveyor, the price of each car was 18.000 dollars. In 1985, at the Sotheby auction, Ferrari 250 GTO was sold for over 10 thousand pounds. Three years later, an American businessman acquired a similar red car with the logo Ferrari for over 2 million dollars. In 1994, Ferrari 250 GTO of 1963 set a new record; it was sold for 13,3 million dollars. For the last time, when Ferrari 250 GTO 1963 was put up for bids, the organizers got 15,7 million pounds for it. The economists calculated that it is 30 times more profitable to invest money in these cars than to make investments in gold. However, Ferrari’s logo can be met not only by race or sports cars. It is present on such items as a sport exercise equipment (Ferrari Unica), Ferrari’s silver 5-dollar coin, a collection of Scuderia Ferrari and Cavallino audio, a motorcycle, and wristwatch from Officine Panerai. Ferrari’s logo consists of a symbol of rampant stallion on the yellow rear ground usually with SF letters. 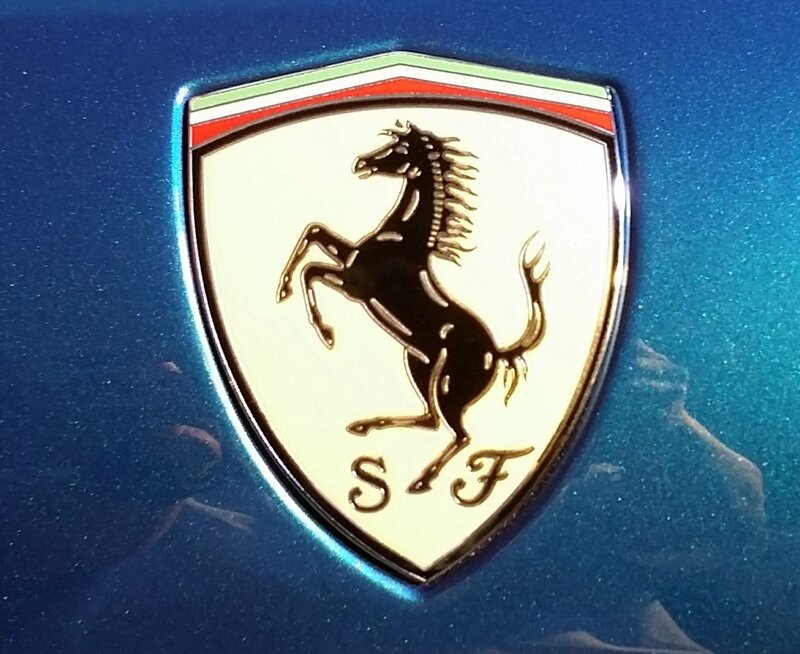 SF is denoting Ferrari Scuderia. 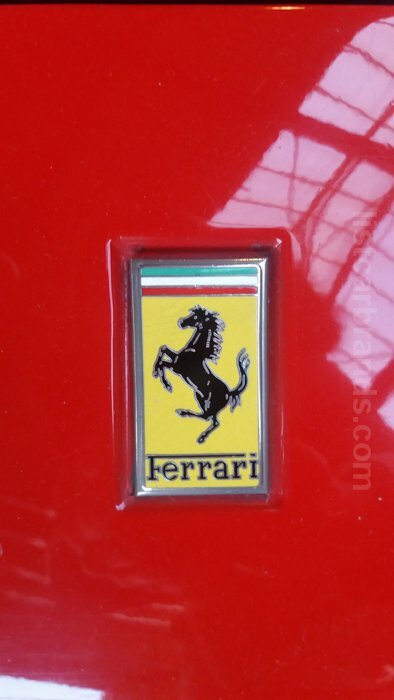 The emblem of Ferrari is known and is well acknowledged by everyone and, especially, by admirers of car races. 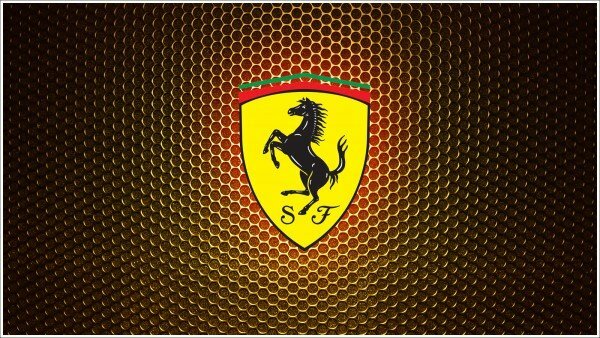 The name Ferrari and its logo are associated with a feeling, which we experience at a great speed, and with sports cars. Why does the Ferrari symbol have the same horse as Porsche? The two rivaling automakers, Ferrari and Porsche, have so many similarities in their logos that it looks as if one stole the design from the other. Some experts assume that this was actually the case, and one of the companies decided to tease its rival. Yet, a mere coincidence is also very likely. One more possible explanation is that the Ferrari symbol might have the same origin as the Porsche symbol. Porsche copied the coat of arms of its hometown, Stuttgart. Ferrari copied the emblem a German pilot Baracca used on his planes, which in its turn was inspired by the coat of arms of Stuttgart. Fabio Taglioni also used a prancing horse in his Ducati motorbikes. Ducati even had an explanation for this fact. The legend has it that Taglioni’s father was acquainted with the German pilot, whose emblem inspired the Ferrari emblem, and even fought with him in the 91st Air Squad. In the course of time, however, designers from Ducati decided to abandon the prancing horse logo. The Ferrari logo has the colors of Italian flag: green, white, red. Yellow and black colors are as additional ones. All these colors represent prestige, strength, dominance, and charm of the Ferrari brand. The Ferrari logo uses a handwritten custom typeface. The famous emblem, a stallion that reared up in a yellow background, is a true indicator of luxury. And exclusive things with Ferrari’s logo have high demand of all luxury red car fans.